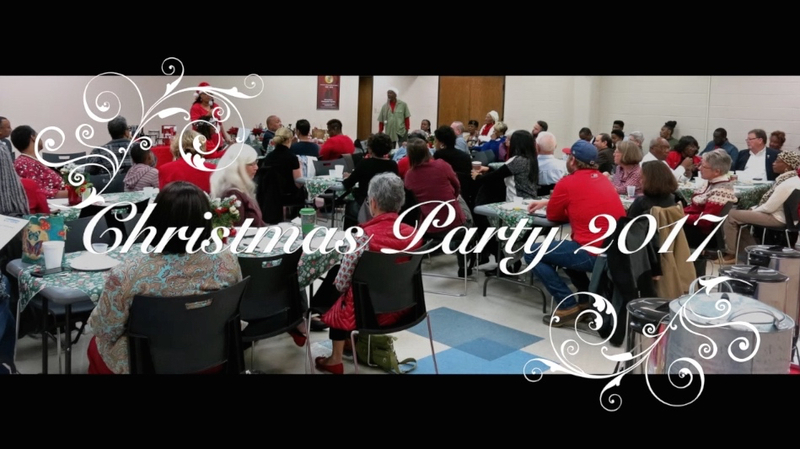 There was not a public policy in sight this morning as the Forum closed out the year with its traditional Christmas Party. Natheley McElrath was mistress of ceremonies and led participants through a number of games. The party favorite was, as usual, the Take a Gift game, in which cards are called and participants first take donated gifts from a table and then, when the table is empty, take gifts from each other. The most-sought-after gift this year, which changed hands many many times during the game, figures in the video below: a plush horse. Only, it wasn’t the plush that made the horse desirable. The anonymous donor of the horse had filled the saddlebag with two tickets to all games at next year’s CIAA Tournament in Charlotte. And of course the horse changed hands with the final card drawn. Click on the video below to start it.